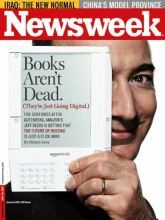 A lot of us are switching to digital books these days. They don't weigh anything, you can obtain them instantly, and you can read them anywhere that you have your e-book reader, mobile phone, or internet access. Most e-books are cheaper than physical books since there is no printing cost. But you can get plenty of them for zero cost at all. Here are ten sites where you can download e-books (and audiobooks) completely free and legally. This is a one-stop place to find downloadable e-books and audiobooks. You search for a title or author, and then, after you provide your location or zip code, it will link you to your nearest public library to get the download. Here, you'll find over 30,000 free e-books to read on your computer, iPhone, Kindle, Sony Reader or other device. These books are out of copyright, which is why they're free, so you won't find current bestsellers here, but you will find great classics by Mark Twain, Charles Dickens, etc. Try the free titles from this popular bookstore, and you can read them on Mac, PC, iPhone, iPad, Blackberry, and Barnes & Noble's Nook device. Did you know that Amazon offers lots of free e-book titles? And you don't need to own a Kindle. Choose from limited-time-offer promotional titles or out-of-copyright classics. The Internet Archive has over 2.3 million book and text items to download, completely free! This is an interesting and unusual collection because it's not just books, but also articles, sermons, memoirs and more. Bookyards has over 17,000 book titles to download, in various categories from business to literature and more. This site offers a bunch of free book downloads, along with some for sale. The free e-books are mostly non-fiction, on topics such as health or cooking. The majority of their books are offered in your choice of: HTML (website display), PDF (Adobe document format), ePUB (for Sony Reader or Barnes & Noble Nook) or MobiPocket (.PRC) for Kindle or mobile phones. However, the quality may vary widely; many of their titles appear to be user-submitted ones, not well-known authors. Sony also has this great deal if you have their credit card – you can use your reward points towards gift cards to their ebook store. I originally signed up to get $300 off my ebook reader, and I discover now that I can get $25 in ebooks every few months! No fees or anything! It’s faster than I can read my free books – I love it! !